Much excitement in the Attic24 Household. ....go down to the cellar to search for the box marked "Halloween"
Re-discover favourite decorations from past years. Sling bits of colourful orange Pumpkin Tinsel and morbid black Skull Tinsel around the place. Decorate our front door with hanging Black Cat, Spider and Pumpkin. Out into the street in our pyjamas to check that they are suitably visible from the pavement. Find plastic Pumpkin plates, load up with spiders and Halloween chocolates for Little People and Friends to tuck into later on. Allow Little People top eat one chocolate each for breakfast. Decorate with Raisin spiders (Teena, I borrowed this idea from you, hope you don't mind?). Refuse to let Little People eat these for breakfast too. 11am and the Little People go out (LM to his friends house for a play date lunch, LL to her Grandparents for a Baking Day). I decide belatedly to go do battle for a Pumpkin (yes tut-tut I go to the Supermarket, oh the shame). A few lonely pumpkins remain in the box and triumphantly I bring one home. I adore carving pumpkins and am secretly glad that the Little People are not here. Because I can do it By Myself. We have very good friends coming to stay the weekend. We shall drink much wine, dress up and go to a Halloween party this evening. I shall go as a cat. Meow. Need to go find black clothes to wear. Guests arrive in approximately 3 hours. Need to clean and tidy entire house for invited guests. Need to make space for them to sleep in the Attic. Have sooo much to do. Is 12.45pm too early to start drinking wine? Nice post. I used to be checkiing continuoualy this blog and I'm inspired! Very useful info particularly the remaining part :) I maintain such information a lot. I was seeking this particular info for a very long time. Thank you and best of luck. 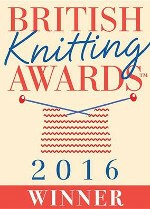 A couple of awards on my blog for you to collect when you have a spare moment ! Happy Halloween for yesterday!! Love the pumpkin Lucy. Hope you enjoyed the party last night. Have a great weekend, enjoy your visit. Your pumpkin looks great - I left it to the last minute and couldn't get one anywhere. Hope you all had a lovely time. Great pumpkin! And I love the spider buns. I'm afraid owing to the fact we have no little people in the house yet, we were a bit miserable about halloween and went to see the new Bond film last night rather than embracing halloween. Hope you have a great weekend with your friends. This bitter weather to drink lots of wine. It's turned into a little practice before christmas, trim a bit here and a bit there. How fun is that pumpkin of yours, I love it. Lovely seasonal post. I hope you had a fab party. I am a bit of a party pooper but I did make a pumpkin pie and chocolate caramel apples with my boy! happy halloween to you too :-) we have spent most of the afternoon and evening at various parties and now am a bit sad we didnt do any decorations for home but as we live in the middle of nowhere we dont get trick or treaters anyway :-( think its going to be a party next year ! Love those spider cupcakes. Have a nice time. Love your pumpkin carving and your decorations. Have a fun weekend and Happy Halloween! Hi Lucy - I was wondering if I could email you? I have a question for you? Thanks! Jennifer in Boise Idaho! Happy Halloween! I didn't do as much decorating this year as I have done in the past. Having the baby always in arms kind of takes the energy out of me these days. I hope to be back full swing next year! Happy Halloween! Have a fab time tonight and say hi to everyone from me. Have you got the hangover remedy in for tomorrow morning?